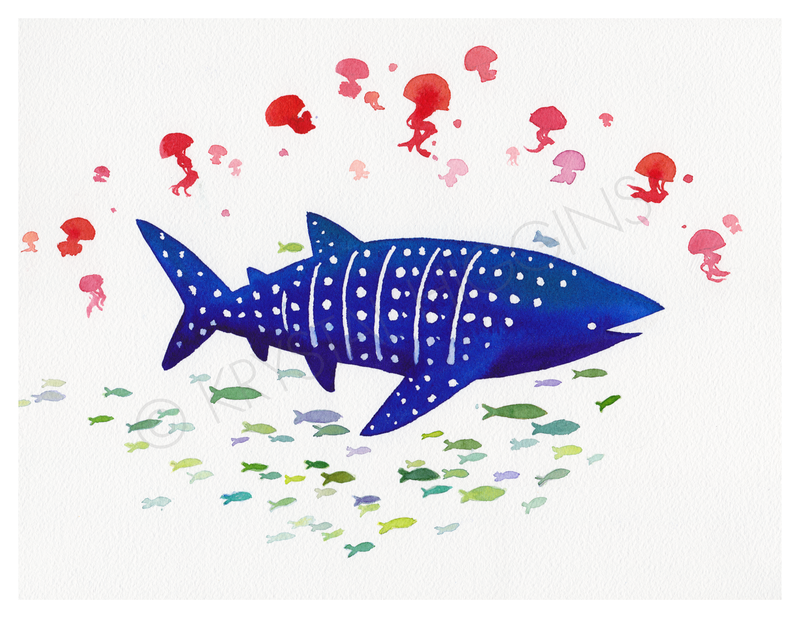 Inspired by the Ningaloo Reef in Australia, this painting depicts a whale shark protecting a school of fish from a cloud of jellyfish. This painting is a departure from some of my richer landscape paintings, using bright, airy colors and negative space to illustrate a happy-go-lucky scene. Painted on Arches 140lb coldpress paper with Winsor &amp; Newton paints.